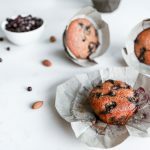 Quick, easy and bursting with nourishing ingredients, this is the only blueberry muffins recipe you’ll ever need. Loaded with antioxidant-rich blueberries, these morsels are fresh, flavourful and fluffy. Did I mention they’re also reduced in sugar? These muffins are made with kamut and almond flour, instead of refined white flour, which is not as nutritious as whole grains. 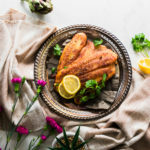 Kamut flour, or Khorasan wheat, is an ancient grain, that provides more protein and fiber than wheat flour. Almond flour is made from finely ground almonds. 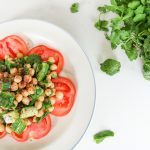 Not only is it gluten-free, and low carb, it also provides healthy fats, vitamins, minerals and protein. 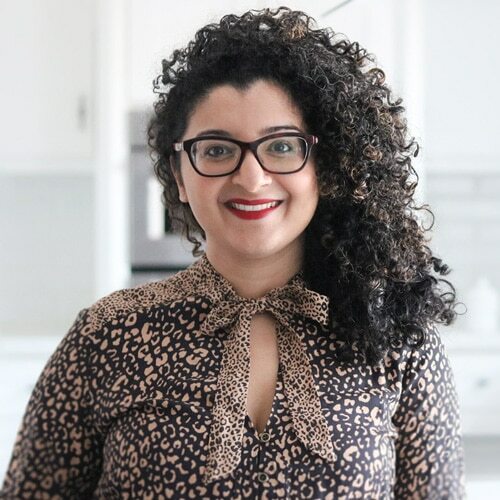 Coconut sugar – although it has a lower glycemic index, meaning it doesn’t cause a spike in your blood sugars and insulin like regular white sugar, nutritionally – it’s not significantly superior than white sugar. Both types are mostly sucrose. 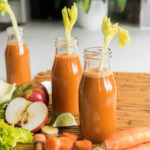 I like the rich caramel taste, that works well in this recipe. Whisk the flours, sugar, baking powder, and salt in a large bowl. You can use an electric mixer. In a separate bowl, add oil, egg, milk and vanilla extract. Whisk to combine. Add milk mixture to the bowl with dry ingredients. 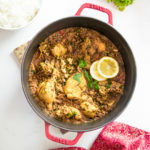 Use a fork to gently combine and avoid over mixing. Stir in the blueberries and fold gently to combine. Pour the batter into muffin cups and divide equally. Fill to the top. Bake in the oven and bake for 20-25 mins or until a toothpick inserted into the middle of a muffin comes out with no wet batter. Cool on a baking rack. Yes, if you can’t find fresh blueberries or they aren’t in season then you absolutely can use frozen blueberries. You don’t actually need to defrost them before using them either as they will defrost when they are baked in the oven. Is there a difference in flavour? you won’t notice much difference especially because these are baked. If you were making a fresh salad or eating blueberries uncooked I’d always recommend using only fresh. 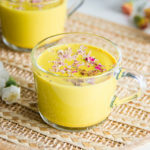 The great thing about this recipe is that it will work great with most fruits especially berries. Why not try using strawberries, raspberries or blackberries. Cooked apples would be great for Autumn, try throwing in a little cinnamon too for a festive feel. 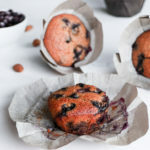 These blueberry muffins will store really well in a cool dry place for around 4-5 days, maybe even up to 1 week but they may start to dry out. Alternatively, you can freeze these and defrost them the night before you want to eat them. 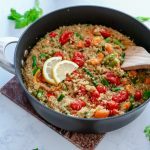 This is a great way to prep in advance for quick and easy breakfasts or snacks! For big-topped muffins, pour 2 tbsp water in the empty remaining cups. This will help the muffins bake evenly. You can use an ice cream scoop or cup measure to divide the batter equally. 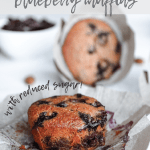 Have you tried my Easy Blueberry Muffins? 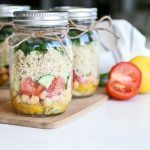 I’d love to know what is your easy go-to snack recipe? Leave me a comment below! 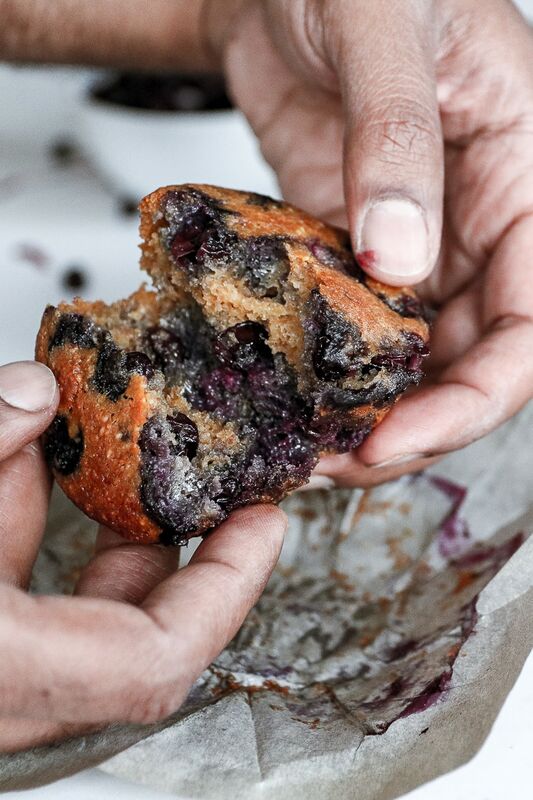 Quick, easy and bursting with nourishing ingredients, this is the only blueberry muffins recipe you'll ever need. Loaded with antioxidant-rich blueberries, these morsels are fresh, flavourful and fluffy. Did I mention they're also reduced in sugar? Preheat heat oven to 400 degrees F.
Line a 8 standard-size muffin cups tray with paper liners. Send in the oven and bake for 20-25 mins or until toothpick inserted into the middle of a muffin comes out with no wet batter. Cool on a baking rack. 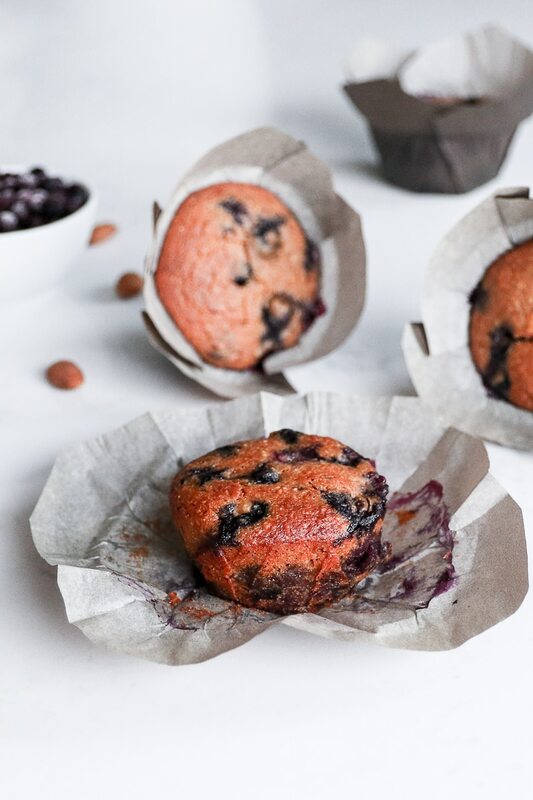 Thanks to Silva Mermer, for tweaking and sharing your healthier twist to this blueberry muffins recipe. 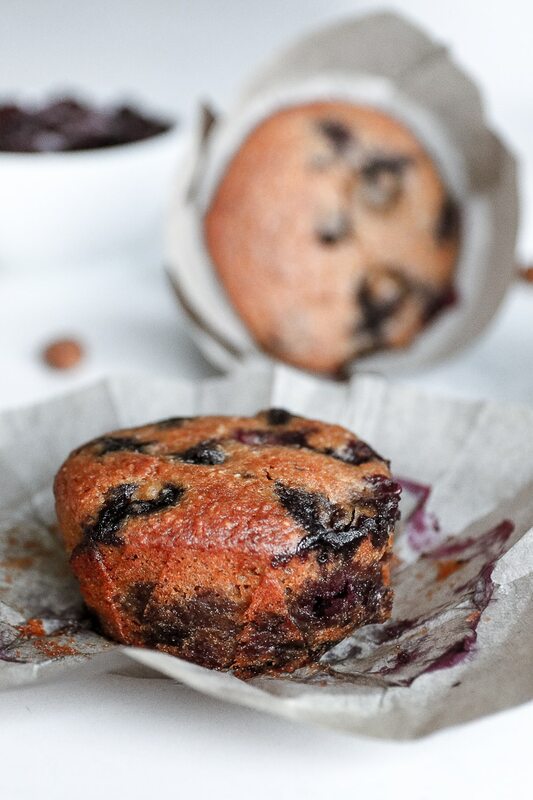 This recipe was inspired by Inspired Taste's Blueberry Muffins Recipe.